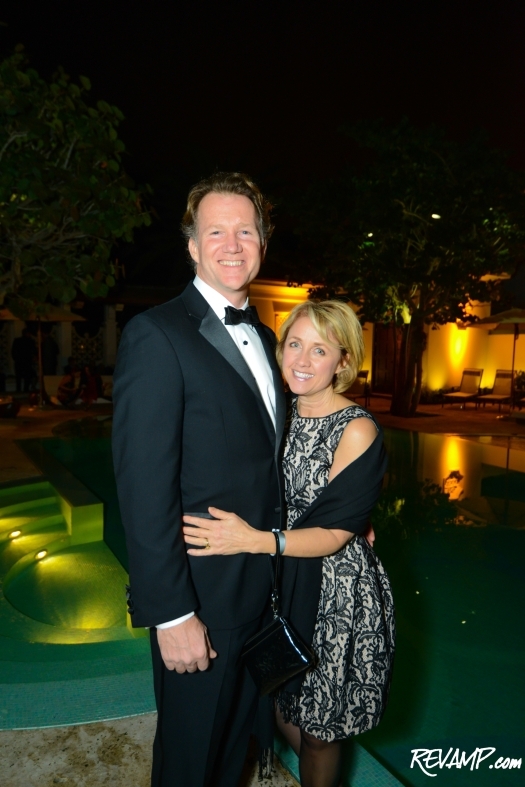 Be sure to check out all 194 of our photographs from this event HERE! MIAMI BEACH, Fl. -- Boasting a combined purchase and renovation price tag in excess of $40 million, William H. Dean ('Billy' to his close friends)'s Terra Veritatis estate represents the most extensive revitalization of a single family property in Miami Beach history. 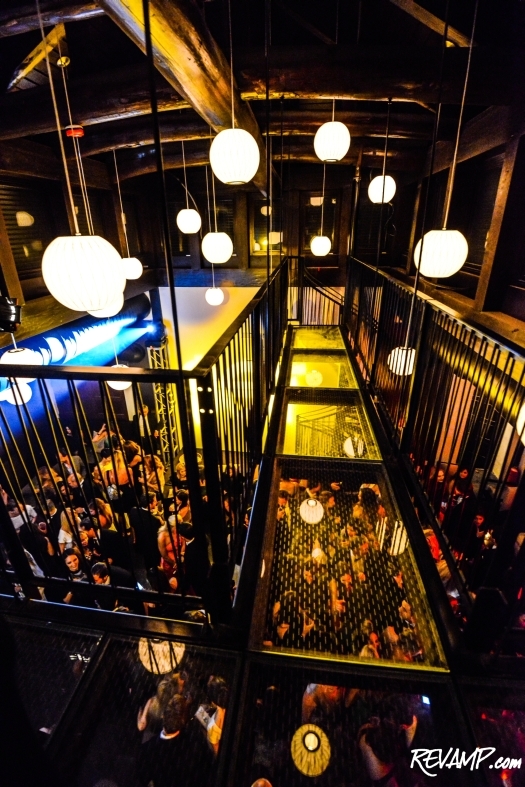 And after undergoing a two-year construction and remodeling period, the 18,100-squarefoot waterfront property formally opened its doors over the weekend, during an exclusive, invitation-only party that drew some 2,000 guests. 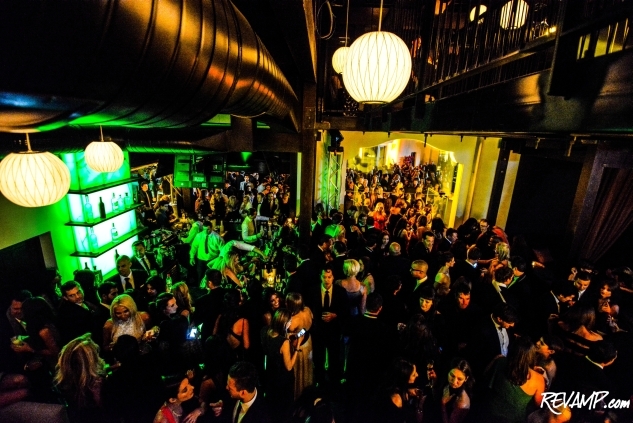 Hosted by Michael Capponi, the namesake behind the general contracting firm that led the lengthy revitalization, and Sarah Arison, a trustee at the National YoungArts Foundation, Friday's black-tie affair boasted a star-studded guest list. Among the many household names who made the cut were film producer/director Michael Bay and film producer Jerry Bruckheimer, as well as a variety of national sports franchise owners, professional athletes, and supermodels. 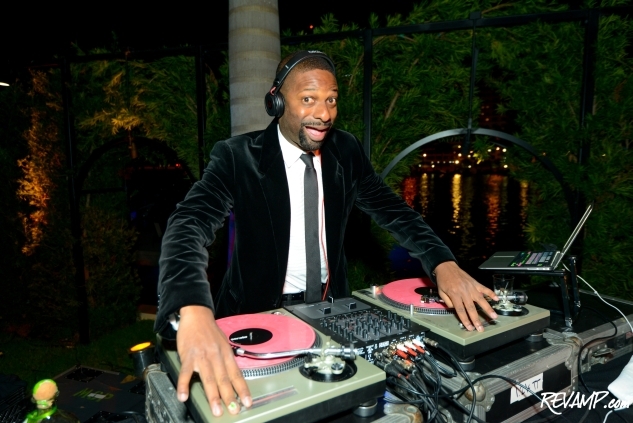 Entertainment came courtesy of a series of theatrical and musical performances -- everything from ballet to classical guitar to hip-hop dancing -- by young artists from the National YoungArts Foundation, as well as a steady stream of beats from Miami Heat DJ, DJ Irie. 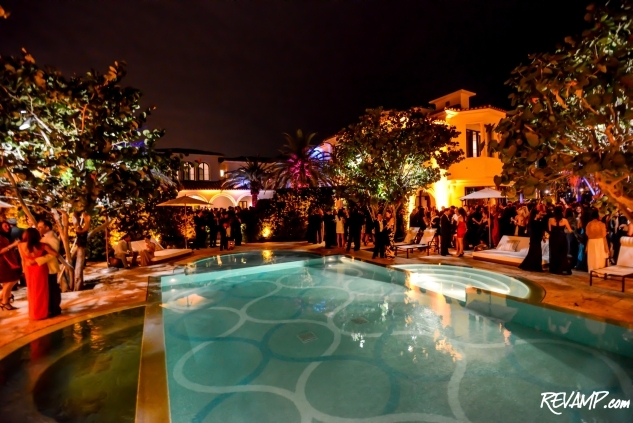 The 16-bedroom estate, which spans 2.5 acres of prime Miami Beach real estate, represents the remarkable culmination of a grueling historical revitalization process, which saw Kmart founder Sebastian Spering Kresge's Mediterranean Revival summer home completely transformed -- all the way down to a first-of-its kind geothermal energy system. Beyond the seven-bedroom main house itself, Terra Veritatis boasts its own pool, spa, gym, volleyball court, and tennis court, along with a pagoda-style pool house that serves double duty as a small nightclub (complete with its own granite bar, sound system, and lounge seating). 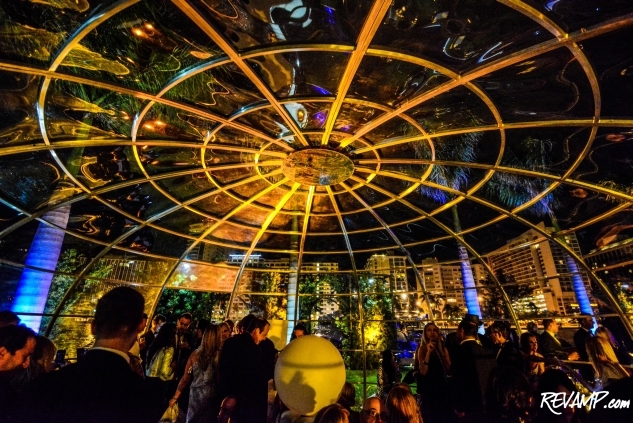 Also constructed specifically for the party was a revolutionary outdoor pOpUp enclosure, dubbed the 'sOap bubble' by PopUpEventsGroup, which provided 360-degree unfettered views to guests inside. 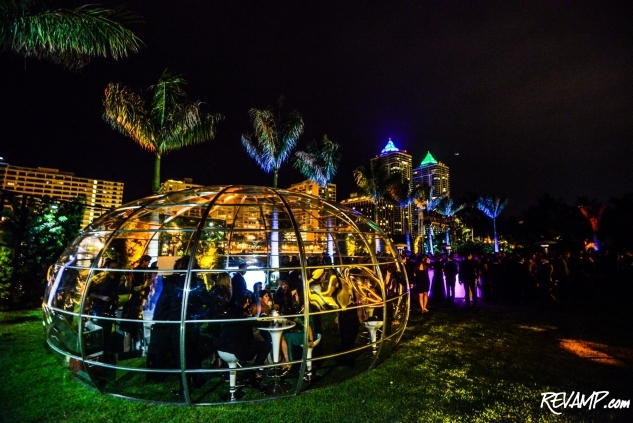 The water tight and climate-controlled dome served as a special VIP lounge for the occasion. As if the unveiling of such a princely property wasn't enough, the glitterati in attendance on Friday had plenty of additional reasons to celebrate, with the blowout bash also serving as a late birthday celebration for Dean, whose McLean, Virginia-based design-build and systems integration corporation is one of the largest in the world. 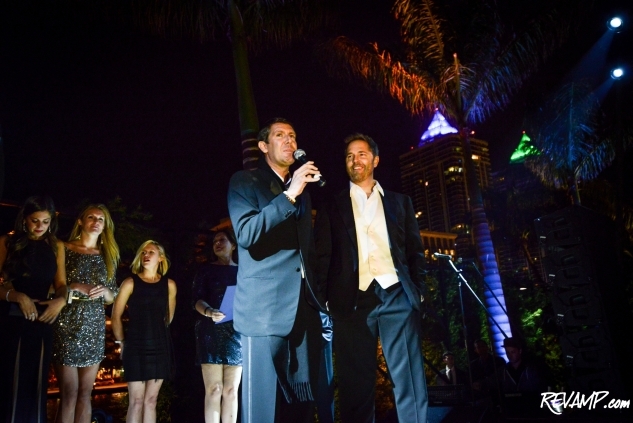 "Every now and then, something good can come out of Washington, D.C.," quipped the 48-year-old guest of honor on Friday (otherwise officially proclaimed 'William H. Dean Day' by Miami Beach Commissioner Deede Weithorn). To be sure, Terra Veritatis can trace its newly redesigned roots straight back to the District, with Dean enlisting P Street-based Dale Owen Overmyer Architects to design the complex. 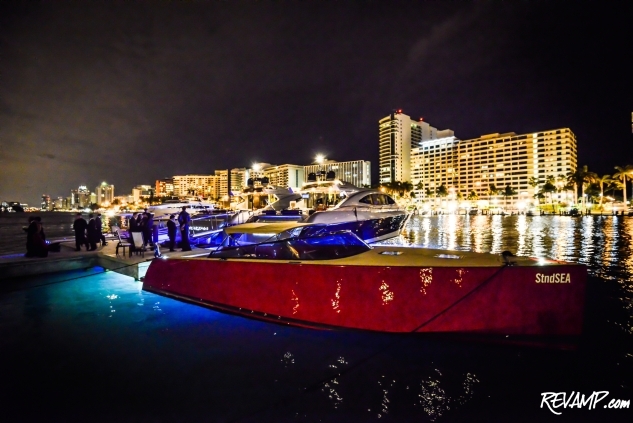 And several of the yachts docked along the property's water frontage over the weekend are perennial fixtures on the Georgetown waterfront during the summer, including MicroStrategy founder and CEO Michael Saylor's 87-foot Moksha vessel. A housewarming party isn't really special, after all, if not overflowing with longtime friends.